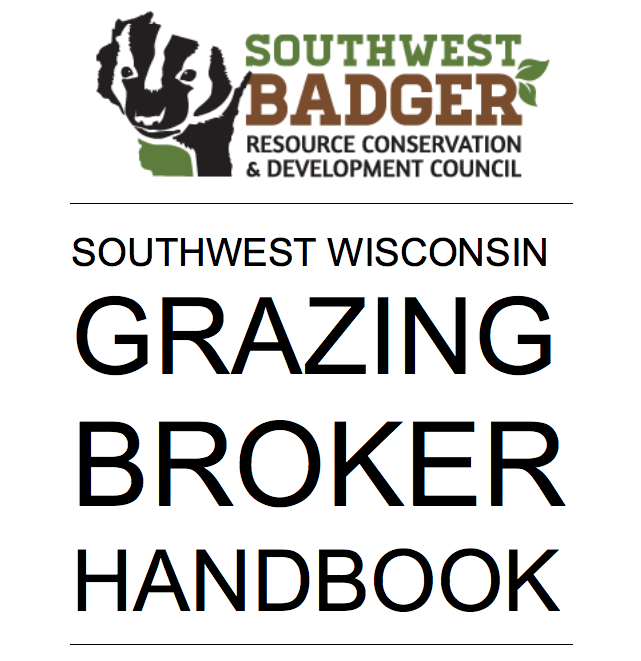 Designed to assist landowners and livestock producers to develop lease relationships, Southwest Badger’s new Grazing Broker Handbook is a free starting place to quickly and easily find pertinent information. 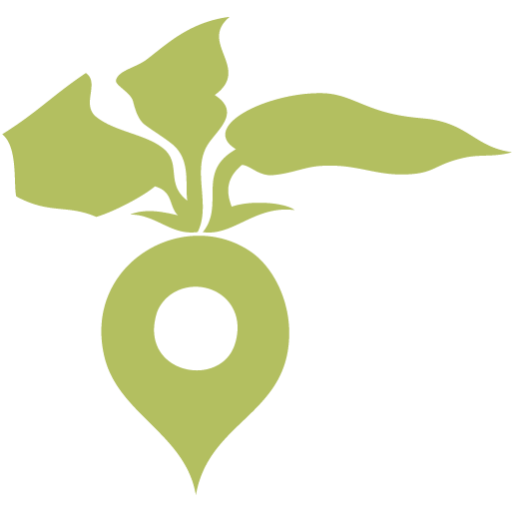 Most of the resources listed include website links for additional interest-specific information. 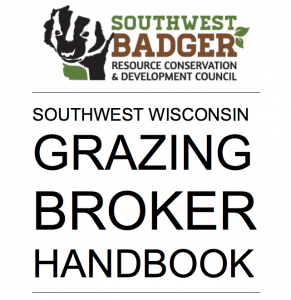 Topics include: how to rent land – strategies to value pasture rental, lease templates, and how to advertise; benefits of grazing – the best resources for the value of grazing, benefits to wildlife, and effect on soil health; tips for fencing and water systems to help you plan a grazing system; tips for planting – links to reading material to select optimum species for grazing; and financial tools to plan and grow all types of grazing enterprises.